On July 10th, 2013, the GMC Colerain Cardinals football team were ranked No. 25 nationally by the USA Today Super 25 preseason high school football rankings. 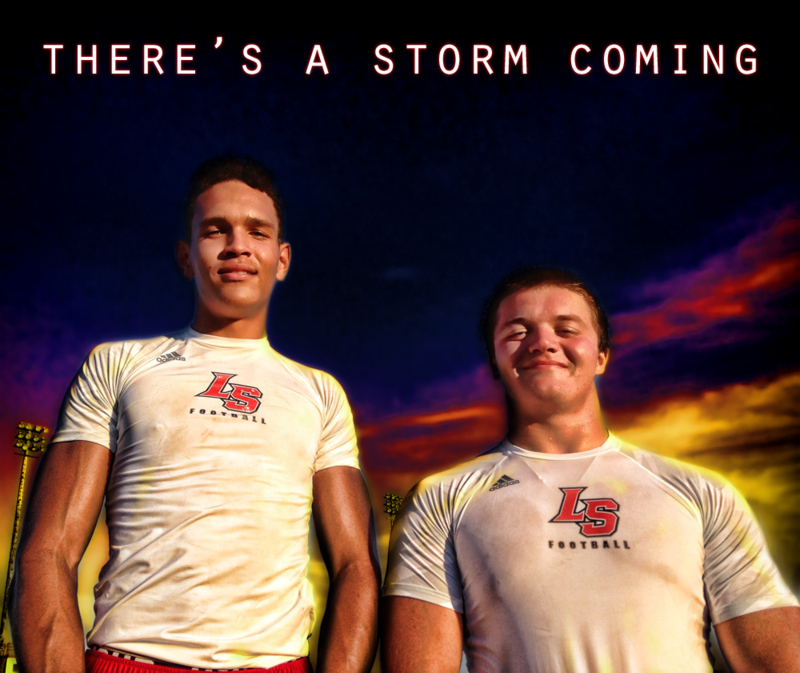 On July 21st, the GCL South La Salle Lancers with their Red Storm proved that they will be hard for ANY team to handle in the backfield, let alone the #25 ranked Cardinals. Derek Kief and Morgan Willcox have been sharing the field for almost as long as they have been pulling shoulder pads over their heads. Now seniors at La Salle high school, this double barrel will slug the field together for one final season. Right now, I'm calling out the entire Lancer Nation. You better get fired up, and you best be rollin' deep! Their final charge is a-comin', and they're bringin' a hellish storm of Lancers with 'em!